Take a stroll down to your local park, and chances are, you’ll find at least one kindly old neighbor going through a sequence of poses. If you find yourself envious of their serene calm, then qigong meditation might be a good fit for you. A caveat: Those park movements are more likely to be tai chi than qigong—and you can check here if you’re unsure of the difference. But when it comes to calming your mind, relaxing your body, and lulling you into more satisfying sleep, qigong could well be the better of the two. This internal art devotes a lot of attention to internal healing and balance, and the myriad traditions that have grown over the years offer methods that can work for people regardless of age, physical fitness, time commitments, and so on. To help you get started, we’ve compiled some of the best resources available online. We keep stressing that there are many ways to practice qigong—and these sites will give you the information you need to find the style that works best for you. 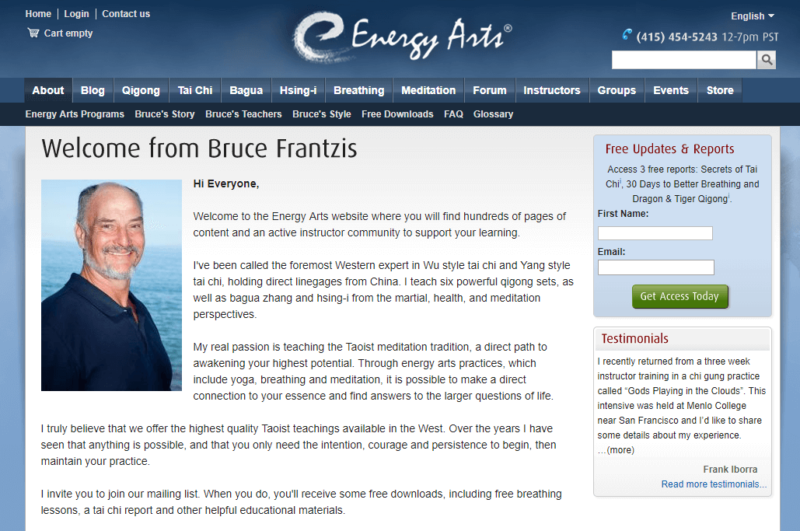 Energy Arts is run by Bruce Frantzis, a highly trained master in tai chi, qigong, and other Eastern healing and martial arts. 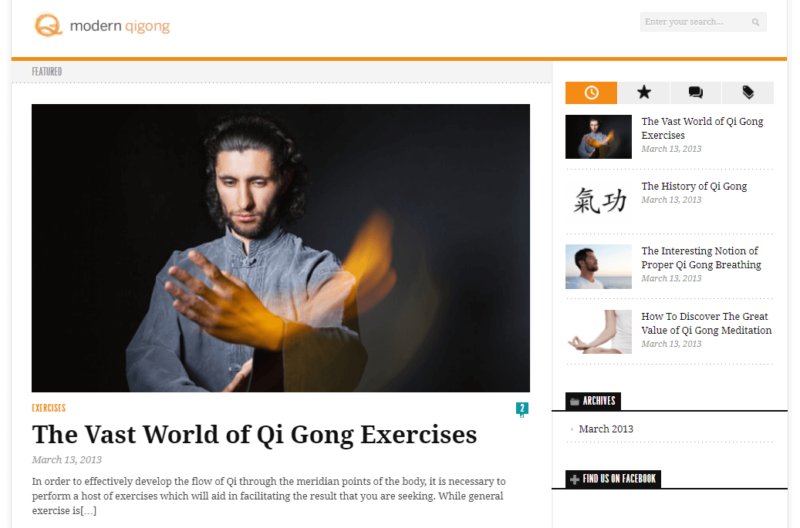 While the site covers more than qigong and meditation, you’ll nevertheless find tons of articles, videos, and other resources for qigong. Frantzis also includes a calendar of events and a directory of instructors if you want to join a group and get hands-on guidance. What we like best about the site is Frantzis’ dedication to making Taoist meditation traditions more accessible to the layperson, so most content—especially for qigong—comes from that perspective. 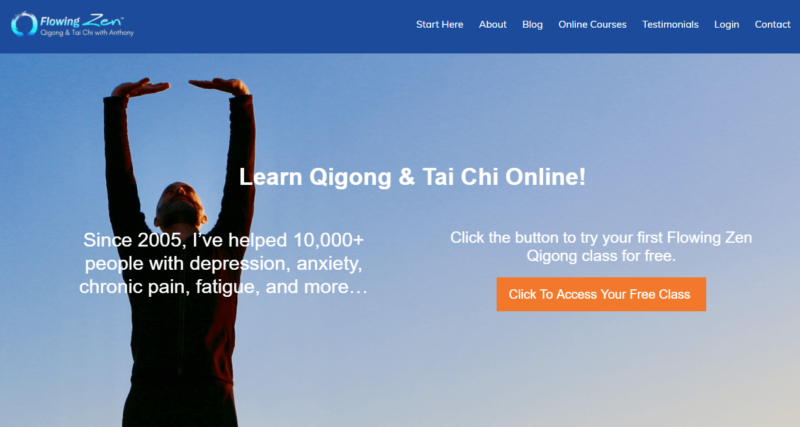 If you’re interested in qigong for its potential health benefits, or if you’re skeptical of those benefits, the Qigong Institute website should be your first stop. Founded in the 1980s by chemist Dr. Kenneth Sancier, the Qigong Institute approaches qigong from a rigorous scientific perspective. You’ll find primers on practicing qigong as well as links to other useful sources, including certified teachers and therapists. 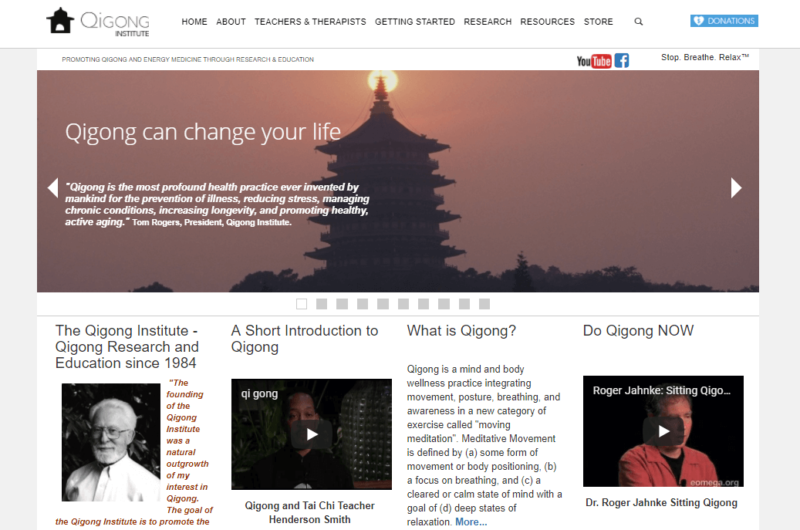 Our favorite section of the website though, hands down, is its comprehensive and constantly updated database of research into the science and medical aspects of qigong. If mental health is the main hurdle for your sleep quality, Flowing Zen is the site for you. It’s run by Anthony Korahais, one of the National Qigong Association’s directors and an expert focused on using qigong to address issues like anxiety, depression, and chronic stress. You’ll find a lot of blog posts and videos brimming with practical tips and advice, from picking the right qigong exercise for your specific problem to figuring out good qigong teachers from bad. Flowing Zen also has a library of online qigong courses that are perfect if you’d rather practice in private. We recommend starting with the free “Beating Fatigue and Exhaustion with Qigong” course. Modern Qigong is no longer being updated, but the published posts still serve as a good, quick primer to qigong and how it can fit into your daily life. Each post answers a question you’re likely to ask as a beginner, be it about the history of qigong or the details of particular aspects of your practice like breathing and posture. If you’re just looking for a short and easy-to-understand introduction to the wide world of qigong practice, this is a good start. Think starting a meditation practice shouldn’t have to cost you? Qigong15 agrees. 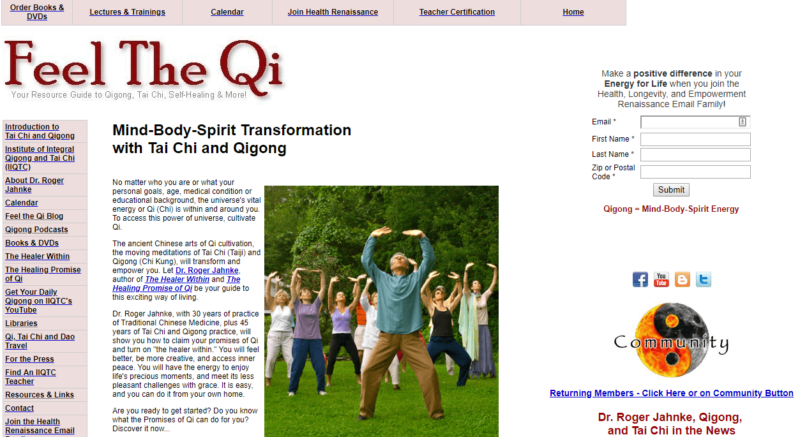 This website offers an extensive library of articles on qigong. You’ll find daily reflection prompts, tips and suggestions for enhancing your practice, and deep dives into advanced topics (like specific movement sets) to help you grow. Most articles are written by Marcus James Santer, a longtime practitioner and teacher, and he writes with a conversational tone and language that’s easy to follow. Searching for content on a specific theme or question will require a little digging, but the wealth of content here is well worth the time. This is the online home of Yang’s Martial Arts Association, a Boston-based organization dedicated to teaching Qigong and Chinese kung fu traditions. It’s spearheaded by Dr. Jwing-Ming Yang (or, as he styles it, Dr. Yang, Jwing-Ming), a highly revered authority on Chinese medicine and martial arts who also writes for the website’s well-organized blog. Dr. Yang writes deeply researched articles on various aspects of qigong, such as the sensations you can expect to experience during still meditation or each of the basic standing exercises used for qigong beginners. The blog also plays host to various contributors with expertise in fields like medicine, traditional Chinese healing, Chinese martial arts, and more. YMAA is also included in our Top Meditation Blogs. 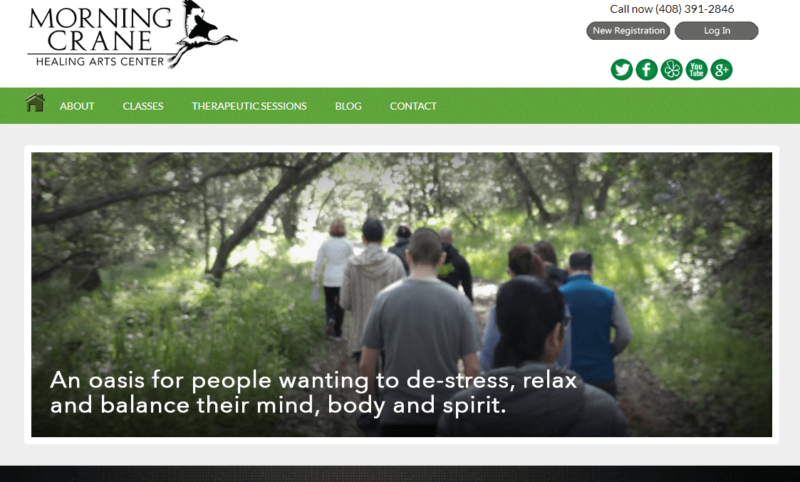 This is another organization-run website, this time for the California-based Morning Crane Healing Arts Center. Like YMAA, the center’s areas of expertise go beyond qigong, encompassing other fields like acupuncture, therapeutic massage, and more. That said, medical qigong is one of Morning Crane’s specializations, and this is the site to check if you’re interested in qigong as a way to ease medical issues interfering with your sleep. The center’s blog contains prompts and reflections that you can use to structure your own meditation sessions. You’ll also find schedules for classes and therapy sessions, which are great if you’re looking for a more guided practice. This is the website for Master Michael Tse, an expert instructor of Qigong and Chinese martial arts. 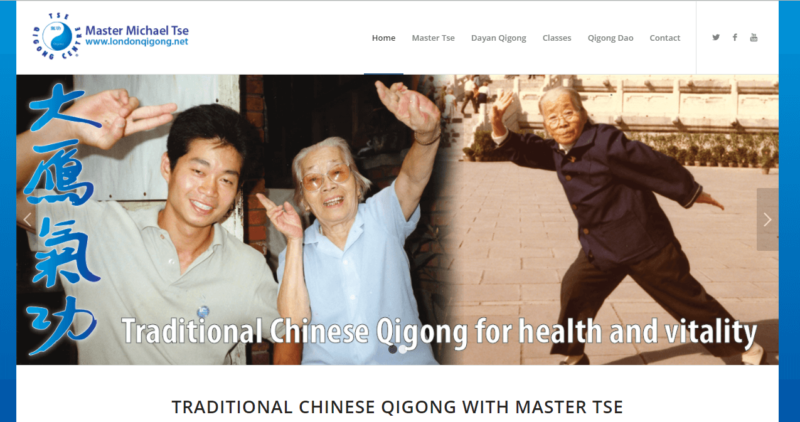 Master Tse runs classes all over London, and the bulk of the website involves schedules for those classes as well as introductory materials for the particular style he teaches, Dayang Qigong. Even if you aren’t based in London, though, you’ll still find a lot of useful resources here: from a free archive of Tse’s qigong-related articles in various publications to video playlists of qigong movement demonstrations. 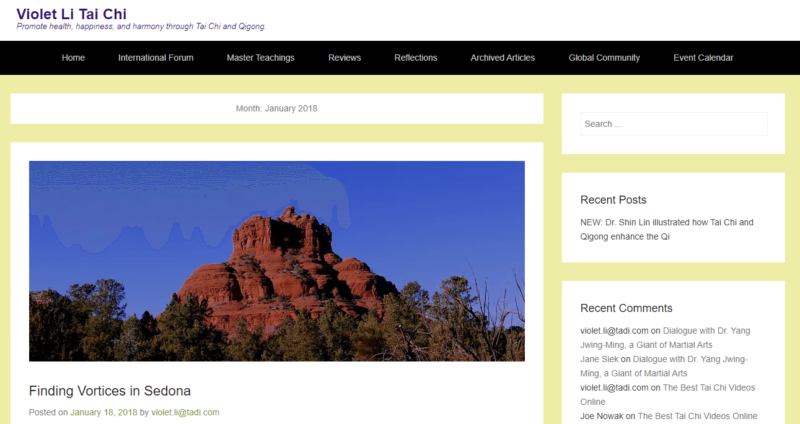 Our favorite section has to be Master Tse’s Qigong Dao blog posts, though, which consist of daily nuggets of qigong wisdom that range from the practical to the profound. The physician and author Dr. Roger Jahnke is one of the most vocal proponents of qigong and other Chinese medicine traditions, and this site houses his online resources specifically for qigong and tai chi. 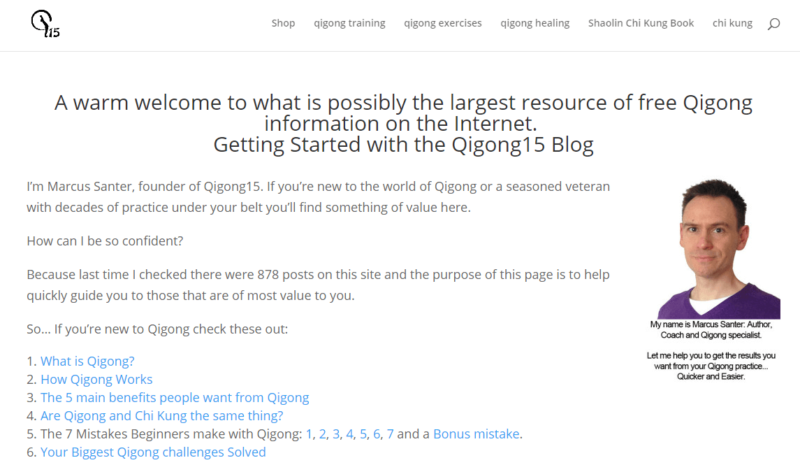 It’s a comprehensive resource that features insightful blog posts on various aspects of qigong, podcasts and webinars, a library of articles covering topics both introductory and advanced, and links to other resources like top qigong associations and networks. 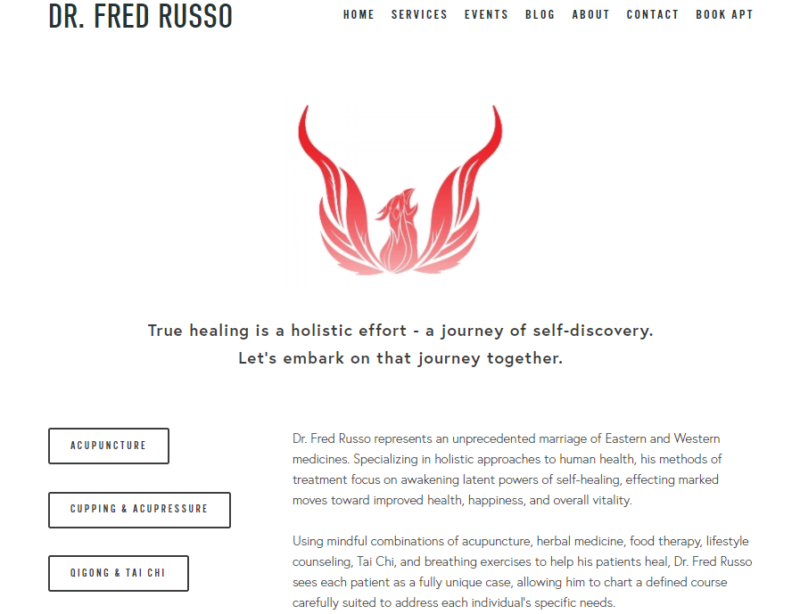 Dr. Fred Russo is another physician who writes extensively about traditional Chinese medicine. 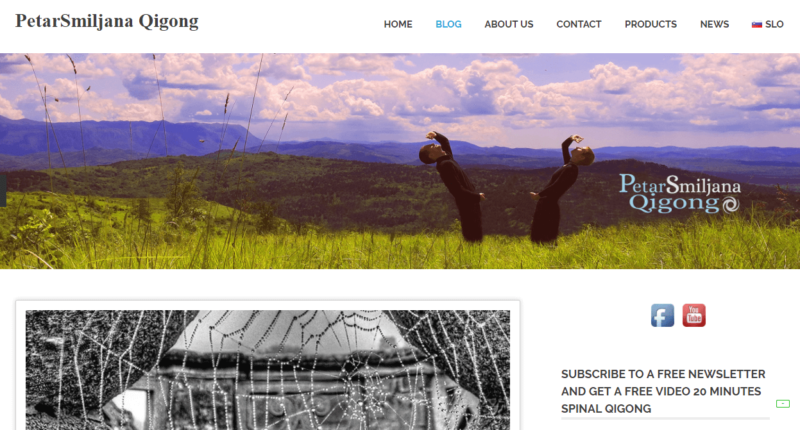 He blogs about qigong, meditation, and other traditional Chinese healing practices like acupuncture and gua sha, with clear, concise definitions and examples. You’ll find article series on specific topics like using traditional Chinese healing arts to manage stress or chronic pain, using qigong meditation to sleep better, qigong exercises you can use to rejuvenate your nervous system, and more. Run by Beth Quist, a certified medical qigong therapist and registered nurse, this is yet another blog about qigong as an viable alternative medical practice. Quist’s focus is the use of qigong techniques to address chronic pains and emotional issues. You’ll find several instructional videos for qigong exercises, including breathing meditations. 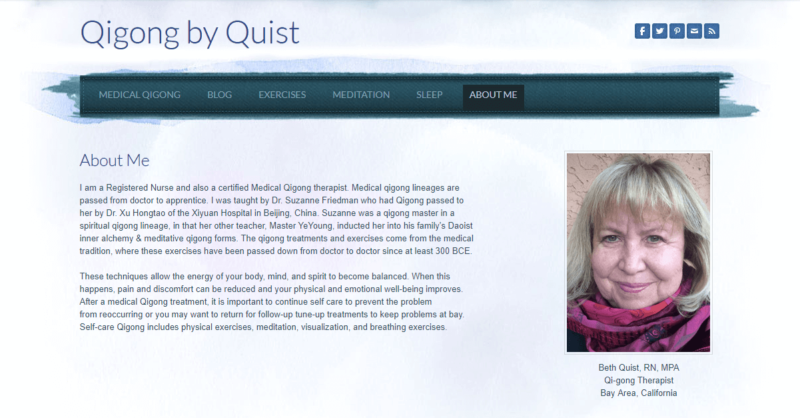 Quist also blogs about interesting cases that she’s helped treat using medical qigong, as well as her process for planning and carrying out qigong treatment plans. 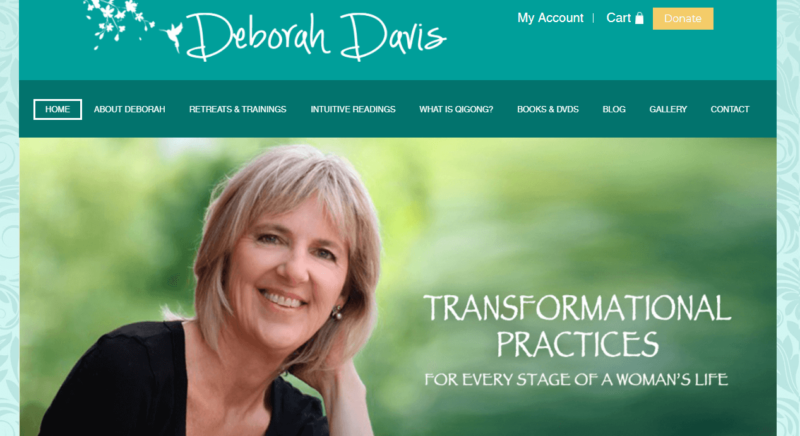 Deborah Davis is an alternative medicine practitioner certified in various therapies like hypnotherapy, herbal medicine, and acupuncture. Her main focus, however, is medical qigong, especially for women. She blogs reflections, reminders, and tips for using qigong to address health issues, especially ones specific to women, like fertility and reproductive health. You’ll also find schedules for her qigong training workshops and retreats. Here’s another site that gives you a more personal take on enfolding tai chi and qigong practice into your life. Violet Li is a certified tai chi instructor and journalist, and she blogs about notable news and events, as well as her own experiences practicing tai chi and qigong day to day. Our favorite sections of her blog have to be the interviews and profiles of major figures in the tai chi and qigong world, from established masters to top physicians and celebrity practitioners. This blog is powered by longtime practitioners Petar Priktratki and Smiljana Golja, who approach the practice and study of qigong with an infectious enthusiasm and curiosity. They write about their own experiences practicing qigong, as well as the new concepts and techniques they discover along the way. We love that they demonstrate how fun and rewarding the process of sustaining a qigong practice can be, as well as how they discuss the “theory” aspects of qigong in friendly, accessible language. 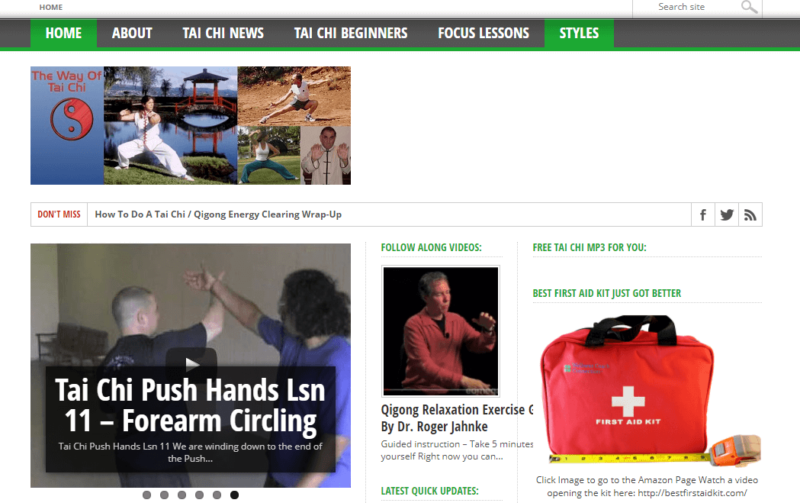 The Way of Tai Chi is exactly what it says on the tin: a repository of news, tutorial video series, articles, supplementary music files, and more, all about tai chi and qigong. The focus here is tai chi—which, as we’ve explained, is different from qigong—but you’ll also find lots of information on qigong if you take the time to poke around. Our favorite part about the site is the library of clear, easy-to-follow video resources that walk you through the movements of various qigong and tai chi exercises. If you want to start qigong as a more active meditation method, this is a resource worth checking. 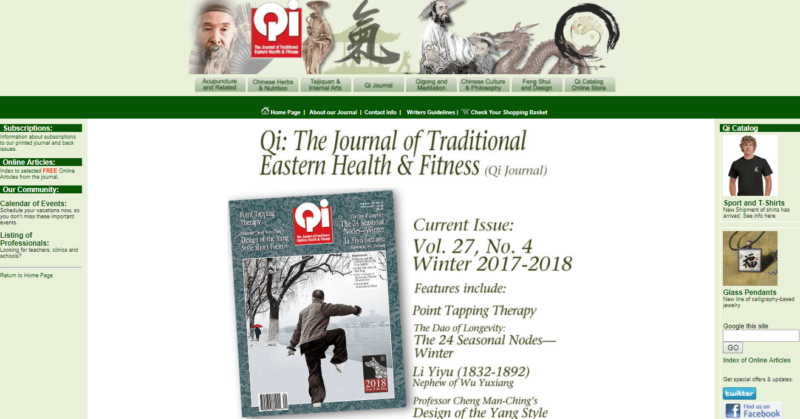 Qi Journal is one of the premier publications on Eastern healing arts, including qigong meditation. Their online home features links to the latest journal editions, as well as an extensive archive of articles published online. There’s a dedicated section for qigong and meditation, where you’ll find tons of information about the underlying mechanics, philosophy, science, and cultural influences of qigong. Choice articles include a discussion of body postures for practitioners, surveys of the latest research on qigong’s medical benefits, and even a look at the political history of certain qigong traditions. This is a great resource if you’re looking to deepen your understanding of qigong.